Pastor Vickie Wong specializes in church weddings and private ceremonies at various venues in and around Vancouver, British Columbia, Canada. 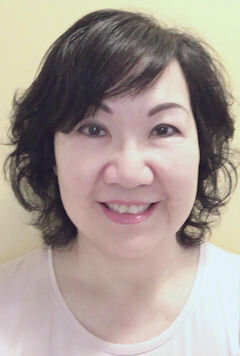 She is fluent in English, Cantonese and Mandarin which makes her a popular choice for many Christian and non-Christian couples. Here is a video of a multilingual wedding conducted in 2016, also shown on this Review page. A second video can be also viewed here. In 2005, Pastor Vickie conducted her first wedding while being a full-time church pastor. Within the full circle of life, she also conducted funerals and memorial services. Starting in 2012, she became more involved with marrying couples who required multilingual wedding ceremonies. Pastor Vickie believes that weddings are joyful occasions and life changing experiences for the bride and groom as well as family and friends. She likes the saying that marriage, including Christian marriage, is not the answer to all our problems, but a doorway into the world of God's mystery. Vickie prefers being called a "marriage officiant" rather than "wedding officiant" — because the wedding ceremony, however glamorous it is, only lasts a few hours — but marriage supposedly lasts a lifetime. Being a witness to such a life changing moment for the bride and groom is satisfying as the world of God's mystery unfolds before their eyes. Pastor Vickie looks foreward to being your marriage officiant. Be sure to check Getting Married and Tips for Couples in the Resources section.